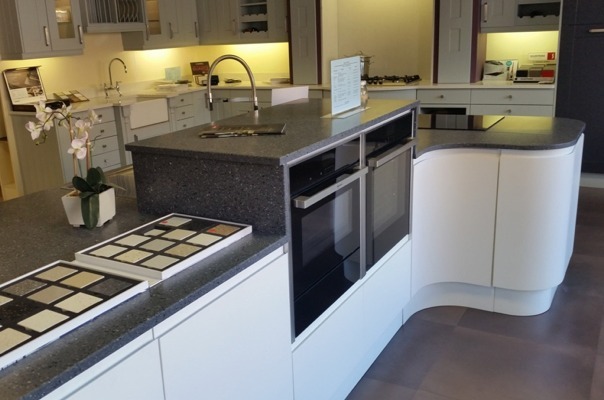 Solid surfaces provide a unique look to any Kitchen. The style and almost seamless finish. They can be fitted closely together and then sanded so that there is almost no visible seam. Barlows can provide you several options tailored to your personal style and budget. Solid Surface Counter Tops are extremely durable. They can be repaired when scratched or chipped.